Picasso Lite Plus is designed for the first-time laser dentist and hygienist. Its affordable price point, ease of use, and sleek design make it the perfect replacement for a scalpel and electro-surge for the use of treating soft-tissue. Picasso Lite Plus cuts and coagulates tissue with reduced trauma, bleeding, and necrosis of tissue and is used for soft-tissue surgical procedures. Picasso Lite Plus offers 3 watts of power and four customizable presets. Picasso Lite Plus comes complete with laser certification options, multiple accessories, world power adapter, wireless foot control, option of disposable tip system or strippable fiber, and a two-year warranty. 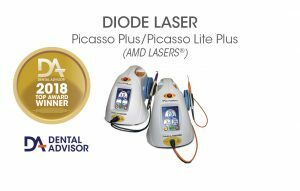 Picasso Plus is a multi-functional soft tissue diode laser that offers comprehensive clinical results in surgical procedures, periodontal therapy and bleaching. Picasso Plus offers the complete laser solution for dentists who want the flexibility to integrate laser technology throughout their practice. The Picasso’s innovative design, 7 watts of power, 8 programmable presets, color touch screen, multi-lingual menu, option of disposable tip system or strippable fiber, wireless foot control, standard two-year warranty, and low annual operating cost makes Picasso Plus the complete laser solution for dentists who want the flexibility to integrate laser technology throughout their practice. 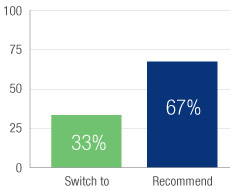 Picasso Plus and Picasso Lite Plus were evaluated by six consultants over a two-month period. 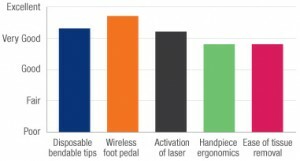 These diode lasers received an 86% clinical rating. The disposable tips that attach to the Picasso Plus Multi-Tip Handpiece enhance the ease of use and set-up. Most consultants had one or two favorite tips but appreciated the variety from which to choose. The wireless foot pedal adds to the convenience in the operatory. 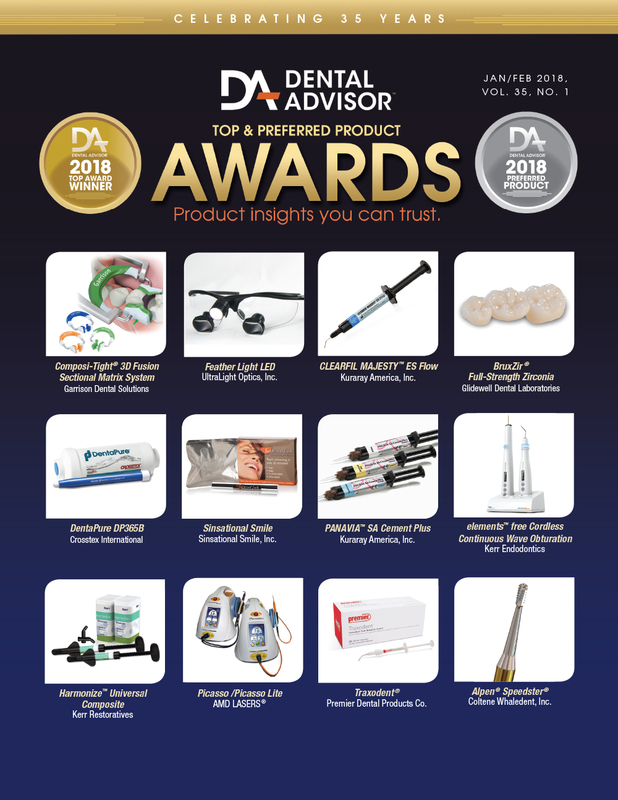 Consultants found they could perform all desired soft tissue procedures with either the Picasso Plus or Picasso Lite Plus ; the whitening function of the Picasso Plus was not evaluated. The simplicity of Picasso Lite Plus appealed to new laser users and those who only use one occasionally. The additional settings and higher power of Picasso Plus allows the advanced user more versatility. The optical fiber (between the countertop unit and the handpiece) has plenty of length and requires manual winding onto the spool for storage.